Boat trips and sandcastles, surfing and rockpooling, dangling crab lines off the harbour wall and riding ponies across the moors. It’s simple pleasures that make holidays in Devon such a guaranteed hit for families. 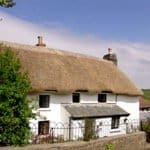 These self-catering cottages cover all the best bits of the county, from the surf-swept north coast to rugged Dartmoor and the idyllic South Hams. 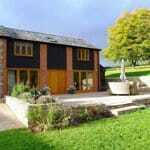 We have the perfect family-friendly cottage in Devon for you. 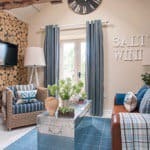 We have selected over 400 fantastic holiday homes to choose from throughout Devon, ranging from country houses and traditional chocolate box cottages to stylish seaside apartments and everything in between. With the dramatic moorlands in two National Parks, Dartmoor and Exmoor,plus a wonderfully varied coastline, the South West Coast Path and wooded valleys dotted with attractive villages, Devon has some of the best scenery in the whole of the UK. Devon’s beaches are at their best in the South Hams, great for watersports, rock-pooling, building sand castles or eating fresh seafood. The moorland works a treat for active families with tor-climbing, kite-flying, cycling and pony-trekking. Devon’s restaurant scene ticks all the boxes, with wonderful food at the many award-winning and child-friendly restaurants and pubs. Great family days out include local fairs and festivals, farms and activity centres, historic pageants, musical gatherings and food festivals as well as the quirky – orange rolling in Totnes and worm charming at Blackawton, for instance. For thrills and adventure, check out Woodlands Family Theme Park, Crealy Adventure Park or the Milky Way Adventure Park. We’ll help you find the perfect home from home, either on the water’s edge or amidst tranquil countryside. Some properties have games rooms, play areas and pools, tennis courts and croquet lawns. Others are located on farms, which you are free to roam. We inspect and grade all our properties and are dedicated to providing the best quality cottages and service. When the Sunday Times’ Stephen Bleach stayed at one of our properties, he wrote: “Renting a property through Helpful is like having it chosen by a like-minded friend.” We couldn’t put it better ourselves! 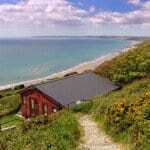 Find out more about our self-catering accommodation in Devon.